ALLINE, HENRY, evangelist, hymnist, and theologian; b. 14 June 1748 in Newport, Rhode Island, second son of William Alline and Rebecca Clark; d. 2 Feb. 1784 in North Hampton, New Hampshire. 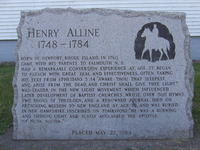 Henry Alline was born into an old New England family which could trace its roots back to the arrivals on the Mayflower. His father, who was probably a miller, had resided in Boston – where Henry’s mother became his second wife in 1738 – before moving to Newport, a seaport centre of 6,000 people and the second largest city of New England. 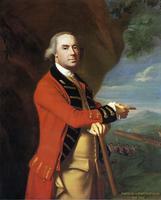 In Newport young Henry attended the local “publick school,” being, as he later wrote, “something forward in learning.” Although his father had never farmed to any extent, the need to provide for a large family made particularly attractive Governor Charles Lawrence*’s announcements in 1758 and 1759 of free fertile land in Nova Scotia. William Alline was in a group of 113 inhabitants of Rhode Island and Connecticut granted land for a settlement on the north bank of the Pisiquid (Avon) River, and in 1760, “after a long consultation,” the family immigrated to what would become the township of Falmouth [see John Hicks]. There the Allines participated in the allocation of land in accordance with traditional New England custom and faced the rigours of pioneering settlements in North America. Young Henry was at first more concerned with the dangers from Indians than with the more prosaic difficulties of erecting buildings, clearing lands, and growing food. Within a few years the settlement at Falmouth had overcome its birth-pangs and developed into a typical frontier agrarian community based upon subsistence agriculture. Three factors in this environment were of fundamental importance to Alline as he grew from adolescence to manhood. Together they produced constraints and an absence of secular opportunity for a bright and energetic lad who was a natural leader, thus encouraging a search for other outlets. In the first place, government policy in Nova Scotia sought successfully to eliminate as much local political initiative as possible by centralizing decision making in Halifax. Since there were no well-developed institutions of local government in Falmouth, young Henry could not look forward to any meaningful political career in his community. Secondly, the isolation and poverty characteristic of rural Nova Scotia meant that there were no local religious, cultural, or educational institutions which might have offered the young man some opportunities for cultivating his natural intellectual gifts. Finally, as the eldest son still living at home, Alline was expected by his aging parents to defer his own expectations and remain with them as manager of the family farm. A loving and dutiful son, not only was Henry unable to consider striking out on his own, but because of the size and relative poverty of the Alline household he could not begin to think about marrying and raising a family at home. Trapped thus by circumstances, Alline carried on his external life as a typical member of his community, sharing in both its work and its occasional pleasures. Internally, however, he became increasingly concerned about the state of his soul. Even before the family had moved to Nova Scotia, Alline had been “moved upon by the spirit of God” and had passed several stages along the traditional New England road to conversion. He had attained Christian knowledge and recognized his own helplessness in the face of his Creator. In Falmouth, where he had little access to formal religious institutions, he continued to study on his own, reading “many experiences and accounts of a work of grace in the souls of others” in the popular devotional literature then available even to a pioneer population. As he grew older and became more involved with his peers in innocent recreation (which he would later label “frolicking and carnal mirth”), his parents discussed with him the “controverted points” of religion and spoke of the dangers of “carnal passions.” Henry and his parents appear to have had the same concerns. Henry was experiencing the normal sexual urgings of the young male, and his parents worried not only about possible sin but about potential loss of the family mainstay. As one of the visions Alline recorded in his journal makes quite clear, he was forced to reject not only the possibility of marriage but female company as well. 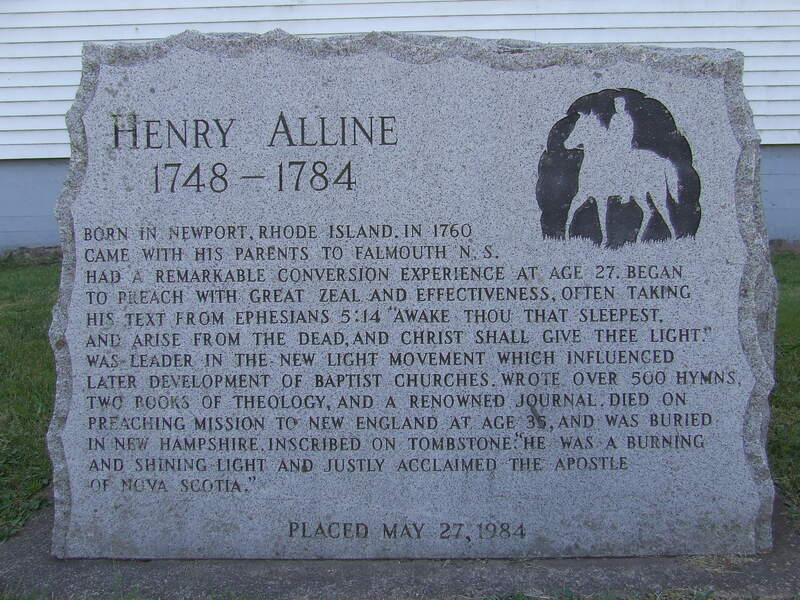 For many years Alline wrestled constantly with his soul, “groaning under a load of guilt and darkness, praying and crying continually for mercy.” Final assurance of conversion came on 26 March 1775, a Sunday with, as usual, “no preaching” in Falmouth. Henry wandered in the fields, returned to his house, picked up a Bible, and turned to the 38th Psalm. Shortly afterwards, he recorded, “redeeming love broke into my soul with repeated scriptures with such power, that my whole soul seemed to be melted down with love.” Later he felt a call to “labour in the ministry and . . . preach the gospel.” A decision to respond to this call would involve more than a year of intense agonizing. In October 1775 Henry tried to proceed to New England, which held a virtual monopoly in North America on the higher education he lacked, but the war intervened. The vessel he intended to sail on was seized by privateers, and while waiting for another ship he received word that his family had caught smallpox and desired his return to Falmouth. When the government decided the following month to call up part of the provincial militia under Henry Denny Denson, an action which forced Nova Scotians to a conscious decision on their position vis-à-vis the war, Alline was “solicited by some of the officers to put in for a commission.” Finding a religious justification for the neutrality in which many Nova Scotians took refuge, he rejected the offer on the grounds that his only commission should be one “from heaven to go forth, and enlist my fellow-mortals to fight under the banners of King Jesus.” Alline had thus broken free of primary political allegiances to Britain, but the force of New England Puritan tradition remained. Symbolically, he broke with it on the first anniversary of the battles of Lexington and Concord. On 19 April 1776, the day he made his final decision to preach, he became an emancipated man, free to offer to others what he himself had found: a spiritual assurance which rejected and transcended the tribulations of the secular world, whether British or American. It was a message unmistakably Nova Scotian in its emphasis. For the next three years Alline confined his preaching to the area around Minas Basin, partly because of the uncertainties of war, but also because he still felt tied by family loyalties. Not until 6 April 1779 was he ordained an evangelist by three Annapolis valley churches, two of which he had played a part in organizing, and not until after the ordination did he preach beyond his immediate region. No artist in pioneer Nova Scotia painted Henry Alline’s portrait, and only one contemporary left a description of the evangelist, a man of “medium size, straight, thin of body, [with] light complexion, light curly hair, and dreamy blue eyes.” In his later years Alline was increasingly affected by the consumption which ultimately killed him, and he undoubtedly showed the usual signs of it: a sickly pale physical appearance contrasting with a hyperactive, occasionally feverish, mental state. A consumptive mien would likely have added to his impact upon others, making him seem a Nova Scotian John the Baptist. The basis of Alline’s success as an evangelist was not his physical appearance, however, but his command of the standard techniques of 18th-century revivalism. Alline’s doctrine was more than a bit unusual. But his use of itinerant preaching, extemporaneous sermons directed at sudden conversions, lay involvement in religious services, emotional extravagance, and open confrontation with “opposers” marked him as heir to the transatlantic evangelical tradition of his day. Like all great evangelists Alline eschewed settlement for himself and emphasized constant movement (or “itinerancy,” as it was called at the time). From his base in Falmouth – for he never entirely freed himself from his family – he travelled for six to nine months of the year by horseback, boat, snowshoe, or on foot. During the course of his career he covered most of Nova Scotia and the settled parts of what is now New Brunswick, including many off-shore islands. In 1782 he visited St John’s (Prince Edward) Island. Few of his meetings were held in church buildings, for even those that existed were usually closed to him. In any case, Alline did not regard church edifices, organizations, or finances as matters of much priority. In pioneer Nova Scotia he met the people on their own terms. Alline’s sermons were extemporaneous, but like most evangelists he had a standard series of points to make and a firm grasp of the biblical idiom in which to make them. Although his sermons undoubtedly became repetitive over time, he was seldom in one place long enough to bore his listeners. His emphasis, typical of contemporary revivalist preaching, was upon the need for the “new birth,” an experience of emotional catharsis during which the individual came to accept Christ as his saviour. Alline was not solely a preacher, however. He understood the value both of prayer and of song. He encouraged the singing of hymns during and away from his meetings, and in the absence of hymnals wrote many hymns himself. A posthumous collection was reprinted at least four times in the United States, and several were included in the standard hymnals of the 19th century. Singing was only one of the ways by which Alline encouraged his audience to participate in his religious services. A woman at Windsor, in a typical response, became “so overjoyed, that she could not contain, but cried out in divine raptures, with shouts of praise to God, and exhorting souls to come and share with her.” Since Alline insisted that the “new birth” was the sole qualification for the ministry, he encouraged converted listeners to speak out and even to preach. Such lay participation was considered “levelling” by the clerical leaders of the organized churches and formed a large part of their criticism of his evangelical movement. But Alline thrived on opposition. He knew what he believed, was totally assured of the righteousness of his position, and was virtually unassailable within his own assumptions. 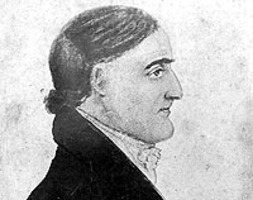 One of his principal clerical opponents, the Congregationalist Jonathan Scott* of Yarmouth, insisted that Alline publicly overstated the vehemence of the opposition, which “gained him Pity, to all Appearance, and served to enflame the People, and promote the End, no Doubt, which he aimed at.” Alline may not have been quite so consciously calculating, but whenever he met opposition he turned it to his advantage. Alline seems almost instinctively to have concentrated his evangelical efforts on those segments of the Nova Scotia population most likely to be psychologically and emotionally receptive to his message. Rural and frontier Nova Scotia, particularly in those areas settled by Yankees, was experiencing both economic hardship and the psychological anxiety of rootlessness, heightened after the rebellion forced the breaking of close ties with New England. Many of the former New Englanders were familiar with the golden days of the Great Awakening of the 1740s and were favourably disposed to their reappearance. But more important, as one scholar has recently observed, in isolated and economically unstable communities, where status based on landownership and official position might be insecure, “religious status could become almost autonomously important, thus encouraging large numbers to seek piety and conversion.” The revival in Nova Scotia did not distract the people from sympathy with the American rebellion, but it served as an emotional outlet for those unable to act politically. It perhaps also helped produce a primitive form of local patriotism based upon the uniqueness of Nova Scotia’s “mission” in North America. Alline’s career as an evangelist was virtually coterminous with the American rebellion, and his ecclesiological principles fitted well into the uncertainties of those years of crisis and chaos. Not particularly interested in institutions, he organized a number of ephemeral churches: two in the Minas region, one in Annapolis County, and others in Liverpool and Maugerville, all areas in which traditional churches were weak or absent. The revival in Nova Scotia did not so much compete with existing religion as move into a void of spiritual leadership at a critical period, poverty and the confusion of the war years having driven most of the settled clergy away. Alline’s New Light churches were organized around his insistence upon the crisis conversion, and partially reflected his beliefs. Only those who had enjoyed “a Work of Grace in their Hart” were admitted to membership. With the exception of the church at Horton (Wolfville region), which was firmly set against infant baptism, the New Light churches accepted Alline’s view that modes and standards of baptism were matters of indifference to the true Christian. Similarly, financial support for the pastor, in accordance with Alline’s wishes, was a voluntary matter reserved to the individual’s own conscience. Alline had no interest in material things, and at his death his personal effects consisted of “a horse and sleigh, his apparel, and about twelve dollars in money.” Nor did he have much interest in matters of routine organization. Although the New Light churches were well adapted to a period of crisis, they found it difficult, lacking a formal structure, to adjust to less chaotic conditions. Alline both created and unified the movement in Nova Scotia, but it was an inherently unstable and singularly personal affair, unlikely to survive him. Except for John Payzant* and Thomas Handley Chipman, he had few personal followers who undertook a public ministry. Perhaps the most controversial aspect of Alline’s work, then and since, has been his theology. Given his lack of and ultimate hostility to formal education, the primitive nature of the environment in which he lived, and the evangelical pietism which was his basic emphasis, one might have anticipated that Alline would have been a typical anti-intellectual revivalist, the sort against whom the opponents of revival always inveighed. Instead, he made a serious effort to provide an intellectual framework for his insights into the nature of God, man, and their relationship. For his efforts he has received little commendation. John Wesley, sent Alline’s writings by the Nova Scotia Methodist leader William Black*, pronounced them “miserable jargon,” and most subsequent commentators have agreed. The fundamental problem was Alline’s lack of intellectual sophistication, a naïvety that led him, in ignorance of the difficulties, to attempt far more than was wise. The obscure, self-educated young Nova Scotian sought single-handed not only to overthrow the hoary theology of Calvinism, but to replace it with a spirit of existential mysticism far easier to experience than to expound. Alline lacked the tools of imagery which men like William Blake and the 16th-century German cobbler Jacob Boehme enjoyed, but his vision of God and the world was remarkably similar to theirs. Alline’s theological formulations, expounded principally in the first 200 pages of his major work, Two mites on some of the most important and much disputed points of divinity . . . (published in Halifax in 1781 by Anthony Henry), began with his own experiences. Isolated and self-educated as he was, Alline was unable to reconcile the doctrines of Calvinism, even as modified by New England Puritanism, with what had happened to him. For Alline, the central point is that God is Love. If God was loving, then the harsh and just deity of New England, who chose only some to be saved, was not credible. Alline found an intellectual system which rejected Calvinism in the writings of the 18th-century Jacobite Anglican, William Law. Although Law’s earlier work influenced all evangelicals, only Alline seems to have followed him in adopting the mysticism of Jacob Boehme. In Two mites, Alline insisted that God is good and that since man was himself responsible for the fall from grace, he was also capable of achieving his own redemption. Alline’s position came close to an enunciation of universal salvation, though he did not insist that all would be saved, but only that all could be saved. However controversial, such thinking was far more comprehensible than the mysticism of some of Alline’s other writings, especially in the concluding pages of Two mites and in the pamphlet The anti-traditionist (Halifax, [1783?]). Here Alline wrote about the “everlasting Outbirth” which transcended the created universe, and attempted to verbalize his feelings about God. In his published critique of Alline, Jonathan Scott accused the evangelist of appealing to the “Passions of the Reader, especially the young, ignorant and inconsistent, who are influenced more by the Sound and Gingle of the words.” The charge echoed those made against Boehme and Blake. Not surprisingly, given his own experience and the environment in which he functioned, Alline’s doctrine was not only mystical, but ascetic, egalitarian, and other-worldly. Because the material world was fallen nature, the human body was naturally sinful and required mortification; Alline inveighed against “frolicking,” drinking, horse-racing, and other forms of worldly pleasure. Although his asceticism may have been too difficult for most Nova Scotians to emulate, many found his attitudes appealing. His belief that all mankind was capable of salvation suggested that all men were equal in the sight of God, and both this conviction and his emphasis on salvation in another world had a powerful attraction for a frontier population in time of secular crisis. Nevertheless, Alline’s efforts at articulating his intellectual position, beginning with the publication of Two mites, marked a turning point in his ministry. Most of the churches he founded concurred with his beliefs about church practice, but they drew up statements of doctrine which in their traditional Puritanism virtually denied Alline’s emerging position. In April 1781 one of the churches which had ordained him in 1779 admonished Alline for “Publishing Erronious principles in print,” and many among his followers found his theological position difficult to accept. Other opposition to Alline grew as his evangelical territory widened and became more stable following the conclusion of peace between Britain and the United States. Always concerned to expand his mission, Alline started for New England late in 1783. He died early in 1784 at North Hampton, New Hampshire. The location of his death symbolized the future direction of his immediate influence, for it was not far from the home of Benjamin Randall, founder of the Freewill Baptist movement in the United States based largely upon Alline’s ideas. Most of the churches Alline had founded in Nova Scotia and New Brunswick either collapsed or went over to Baptists who rejected his anti-Calvinistic theology. Henry Alline has never been completely neglected by Maritime historians, particularly those writing within the traditions of denominational history, but his career and activities have taken on a new importance in recent years, as evidenced in the many studies of them which have appeared since 1945. The new interest reflects a changing emphasis in historical scholarship, away from the study of formalized and centralized élites and their institutions and toward the understanding of the lives, thoughts, and aspirations of ordinary people. The Great Awakening in Nova Scotia is no longer seen either as a curious aberration from the progressive development of the Maritimes or as merely providing the origins of later religious institutions in the region. It is now recognized as a popular movement, indeed the major popular movement of its time. Henry Alline, as its early leader, has begun to take on the character of a folk hero, articulating the concerns of a perplexed people attempting to come to terms with the harshness of everyday life and the rapidly changing developments of the outside world over which they had little control. In his anti-materialism, anti-institutionalism, and even in his mysticism, Alline was rebelling against his society and searching for a new meaning to life. Such responses seem far more comprehensible in our confused modern society than they did to our more optimistic ancestors. For a complete list of Henry Alline’s published works and of the primary and secondary sources relating to his career see: J. M. Bumsted, Henry Alline, 1748–1784 (Toronto, 1971). To the secondary materials listed there the following should be added: J. M. Bumsted and J. E. Van de Wetering, What must I do to be saved? The Great Awakening in colonial America (Hinsdale, Ill., 1976); Gordon Stewart and G. [A.] 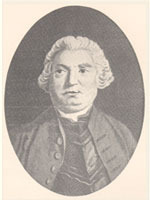 Rawlyk, A people highly favoured of God: the Nova Scotia Yankees and the American revolution (Toronto, 1972); Gordon Stewart, “Socio-economic factors in the Great Awakening: the case of Yarmouth, Nova Scotia,” Acadiensis, III (1973–74), no.1, 18–34; and T. B. Vincent, “Alline and Bailey,” Canadian Literature (Vancouver), no.68–69 (spring-summer 1976), 124–33. J. M. Bumsted, “ALLINE, HENRY,” in Dictionary of Canadian Biography, vol. 4, University of Toronto/Université Laval, 2003–, accessed April 22, 2019, http://www.biographi.ca/en/bio/alline_henry_4E.html.